It is official. 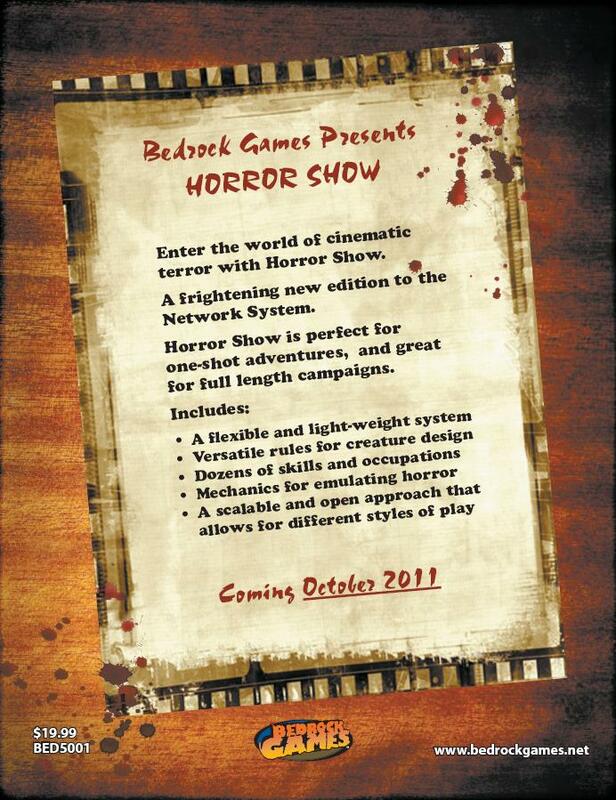 Horror Show will be released in print by Halloween (earlier in PDF format). Enter the world of cinematic terror with Horror Show. A frightening new edition to the Network System. 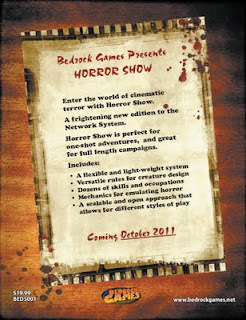 Horror Show is perfect for one-shot adventures, and great for full length campaigns.